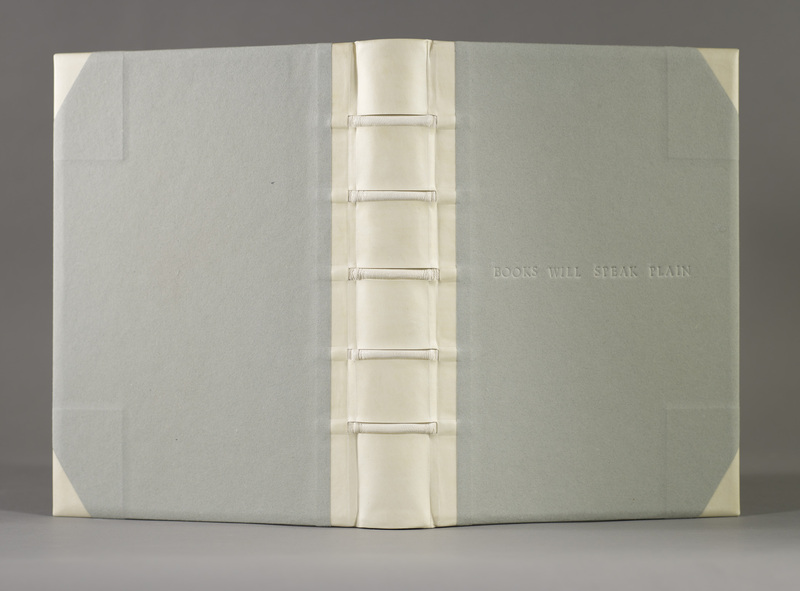 Cut-away vellum spine with alum-tawed leather over bands, sewn on raised cords, endbands and corners based on a historical binding found in library collections, handmade cover and endsheet papers, blind- stamped title. Relief under the covering and along the spine edge reveal the simplicity of the structure beneath as on the worn cover of the found historical binding. Deborah Howe is the Collections Conservator at Dartmouth College Library. She has taught classes at Columbia Center for Paper and Book, the Newberry Library and currently teaches bookbinding classes at the Book Arts Workshop at Dartmouth.